Matter: Can water remain a liquid below its normal freezing point 0°C (32°F), then crystallize on command (solid)?! 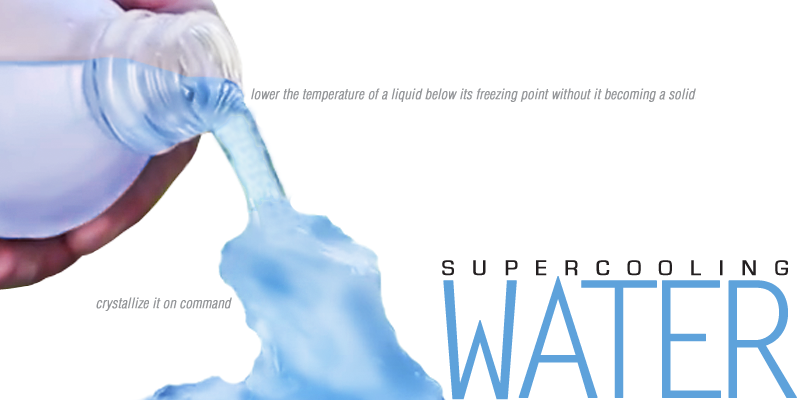 Click here for the scientific explanation behind supercooling and snap freezing! Weather: Learn about supercooled water droplets in clouds here and how this experiment relates to freezing rain! Turn this experiment into a delicious treat! Check out Grant Thompson's video tutorial: Self Freezing Soda!